The Medicare Benefits Schedule Review Taskforce Report from the Nurse Practitioner Reference Group (NPRG) has been released, with 14 detailed recommendations. This report will now be considered by the MBS Taskforce, and released to Stakeholder consultation, which includes the ACNP. Following that, the taskforce can make recommendations to the Minister. What we hope to achieve from the current MBS review is significant increase in access to Nurse Practitioners services for the Australian public. This will assist the development of more roles in the Private sector, and more Nurse Practitioners will be able to work towards addressing the gaps in health services, and the health of our community. The ACNP is pleased that the changes outlines within the 14 recommendations will also lead to significant growth in Nurse Practitioner numbers in Australia, especially in areas of need, and a more sustainable workforce. The ACNP has been heartened by the large number of responses to our sharing of the "MBS Report from the NP Reference Group". You can access the full report from the MBS Review - NP Reference Group here. On the 27th March the ACNP attended the Stakeholder Consultation relating to the Medicare Benefits Schedule (MBS) Review Taskforce – Report from the Nurse Practitioner Health Reference Group. In attendance representing ACNP and our members were Catherine Smith, Amanda Davies and Leanne Boase. Each of the recommendations were discussed with Taskforce and NPRG members, other nursing stakeholders, and consumer representatives. We were very well supported by the other attendees at the Stakeholder consultation. We clearly expressed strong support for each of the 14 recommendations in the Report, highlighting case examples and the evidence to support them. We will continue with our working groups to ensure we are well prepared for our written response. Thank-you to all of our members that helped us to prepare. We are calling on you to write to the Minister of Health and your local Member of Parliament in relation to supporting the 14 recommendations of the MBS Review – Report from the Nurse Practitioner Reference Group, and particularly, the removal of the collaborative arrangements. Please contact the ACNP on 1300 433 660 if you need any assistance. If you would like to provide further assistance, please contact the College at admin@acnp.org.au with the group you would like to join. A letter was sent to the Prime Minister, the Hon Scott Morrison MP, requesting support. Reply was received via Letter from The Hon Steve Irons MP. We have been in contact with the Honourable, Greg Hunt, MP, Federal Health Minister, via mail. You can read our comments in the Letter to Minister Hunt. 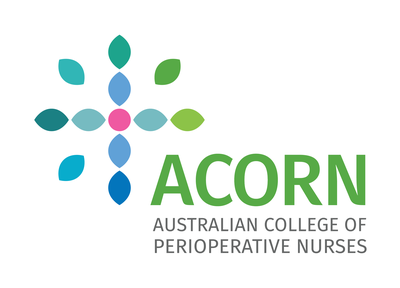 The ACNP is pleased to acknowledge the support of the following organisations who are equally encouraged by the recommendations and their positive improvement to better health outcomes for all Australians, including the Aged Care sector and Rural and Remote areas. Read the letter of support from ASHM. Read the letter of suppot. from Bendigo Health. Read the CNSA letter of Support. Read the ACORN Letter of Support..
Read the letter of support from Heathcote Health in Victoria. Read the letter of support from the Council of Deans of Nursing and Midwifery. Read the letter of support from the Drug and Alcohol Nurses of Australasia. Read the ACMHN Support Letter here. ACMHN are setting the standard in mental health nursing. Read the Support Letter from AHPA - the national voice for allied health professionals..
Read the Support letter from CRANAplus who are improving remote health. Read the press release from ANMF here. Read the abstract from APNA's weekly News Hook-up below.